We’ve created a guide to understanding natural & organic – from the certifications to the seals. Download a printable pdf of our new infographic. 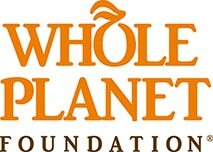 Whole Planet Foundation is fortunate to work with so many corporate partners and Whole Foods Market suppliers who have joined our mission of domestic and developing world poverty alleviation. One of the many ways that our partners can fund microlending programs around the globe is through the scanback program, where they can choose to donate a portion of the proceeds from product sales at Whole Foods Market stores. By participating in this program, 100% of the funds raised through these scanbacks support Whole Planet Foundation, as our operating costs are generously covered by Whole Foods Market. I wholeheartedly dislike grocery shopping but I try my best to be grateful for the ability to shop as well as the abundance of food purchasing options I have. The ability to purchase absolutely everything on my grocery list with a USDA Organic Certification is definitely one thing I am very thankful for. Eating healthy human food and feeding high quality canine nutrition is a constant learning process. I have been eating organic for almost two decades but I recently learned things I didn't know about USDA Organic Certification. When it Comes to Organic Food For Your Pet, How Important Is it? Castor & Pollux’ ORGANIX surveyed pet owners to find out, just how important Organic food is to pet owners. Take a look at the infographic and find out what pet owners think. They also surveyed to find out how well pet owners understand the USDA Organic Logo and what it means. Is Organic Important To You? The value placed on organic food for pets compared to the rest of the family; what’s important about organic to pet parents; and common misconceptions surrounding the USDA Organic logo. Sign up for special offers, product updates and news! I would like to receive updates about Castor & Pollux.